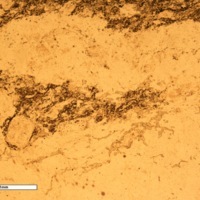 The sample color is light brown to dark brown in color with white residue through out the surface. 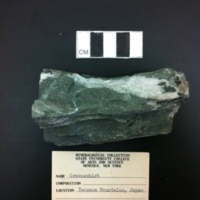 The rock has a light green tint. There is a greasy luster to the sample. There are large white veins and planes of cleavage that follow a foliation pattern. The large white veins react with acid. 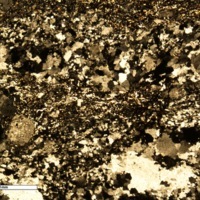 There is a petal-like residue of white and brown minerals. 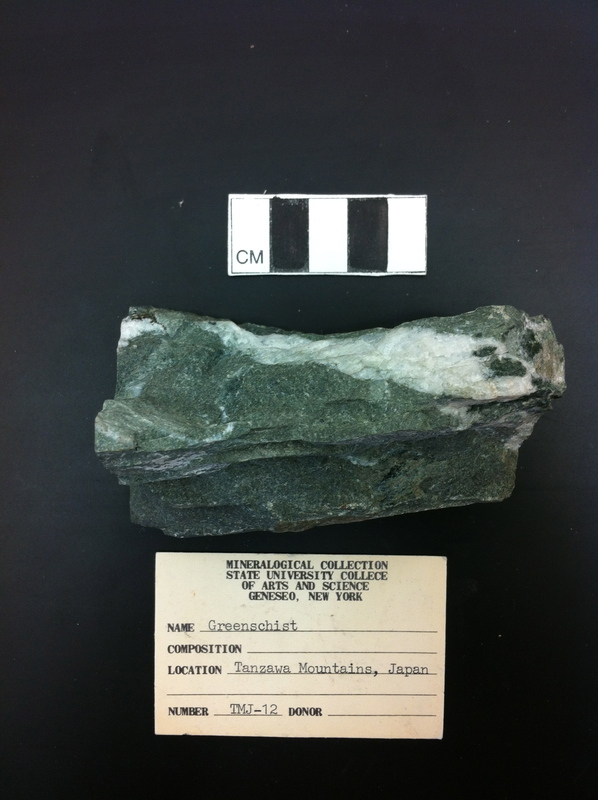 The sample experienced chemical weathering. The rock has a silty texture. There are some small veins. The matrix is too small to identify with a microscope but it is dark in color while under PPL and a very light yellow color under XPL. 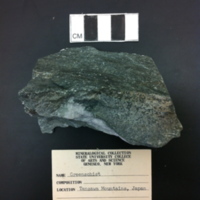 Some of the plagioclase is curved. The matrix intergrown in many of the quartz crystals. The sample is holocrystalline. 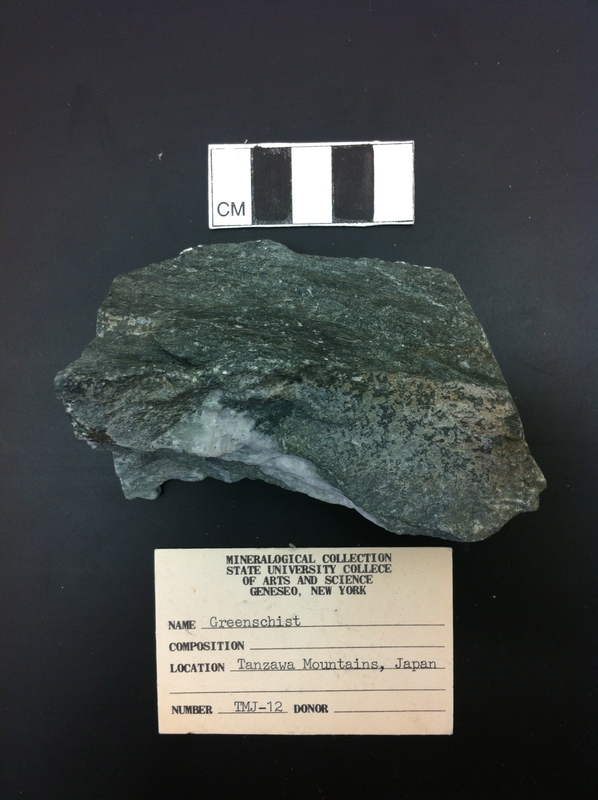 “Greenschist,” Geneseo Geoscience Collections, accessed April 25, 2019, http://www.geosciencecollections.milne-library.org/items/show/355.